Stefan Denifl (Aqua Blue Sport) will not start in the Tour of Austria, as it was announced, following a training accident. 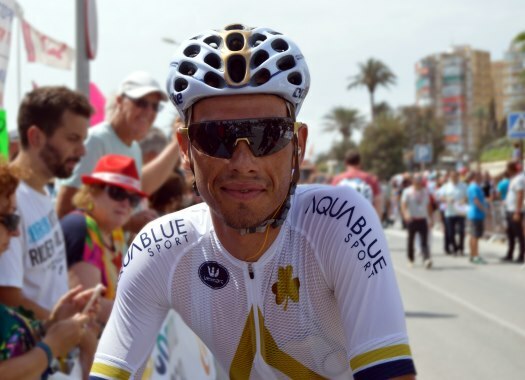 The rider was set to go back to the race to defend the title but crashed on a descent in the Zillertal valley, in his native Tyrol, and suffered an impact to his head. Denifl will have to face now a period of rest and recovery in line with the team’s Post-Concussion Return to Cycling Protocol. "It is bitterly disappointing to be denied the opportunity to defend my title in the 2018 Österreich Rundfahrt," said the rider. "Nevertheless concussion must be taken extremely seriously and I appreciate the necessity of abiding by the relevant protocols. My priority now is to look after my health and to make a full and speedy recovery. "To all my fans and supporters, especially in my home village of Fulpmes where the second stage will finish, I apologise, I only wish I could be there. To my family and friends and medical professionals, thank you for your support in a difficult time and to all involved with the 2018 Tour of Austria, I wish you a safe and successful race. To add… credit to my helmet for saving my life or at the very least, preventing a much worse outcome." Denifl will be replaced by Andy Fenn, who was part of the squad that aid Denifl to take the overall victory at the 2017 edition of the race.